These georeferenced PDF maps are intended for use by aerial supervisors, flight crews, and firefighters involved with aerial fire operations. 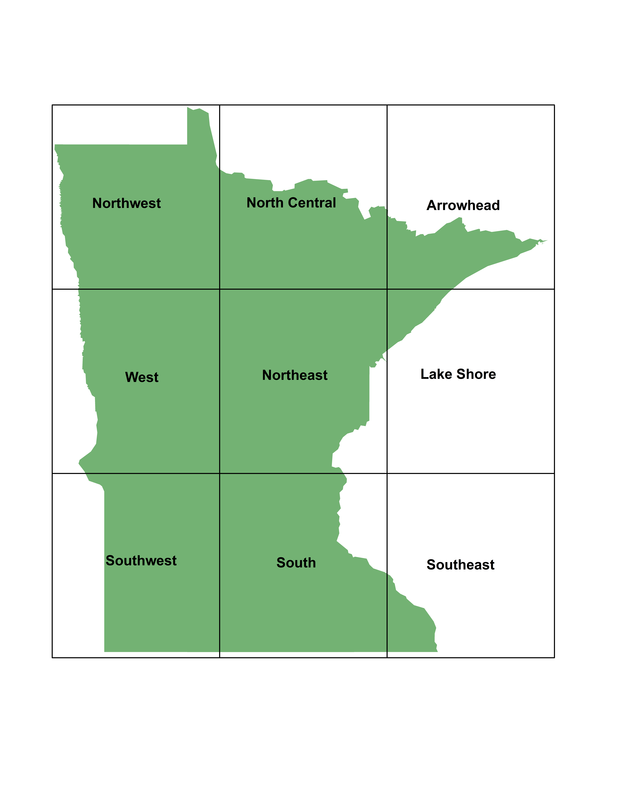 This is a basic map of the state of Minnesota showing major roads, larger cities, aviation bases, and jurisdictional boundaries. It also shows the infested lakes and streams for 2019. Statewide map showing repeater locations and names. For use by flight crews to help determine best communication option with dispatch. The following links contain the KML files for the 2019 AirNet Coverage, statewide aerial detection routes and Infested and Special Concern waters. These are small enough to be used on ForeFlight and will also work on Google Earth and Avenza. These links will take you to a different site. The following maps can be used with Avenza Maps to provide information when offline. The maps include legal descriptions, roads, water sources, infested waters, towns and jurisdictional boundaries. These links will take you to a different site. The following are georeferenced PDF versions of the hazard maps hanging at Minnesota air bases. This map is coverage of the Chippewa National Forest with overlay of the infested lakes and streams. This map is coverage of the Superior National Forest with overlay of the infested lakes and streams and Retardant Avoidance Areas. This map is a high resolution map with coverage of infested lakes and streams and waters of special concern. It has roads coverage down to township and Forest Service level with names.